50% of adult mental health issues manifest by the age of 14. One in five young people experiences a mental health issue in any given year and suicide is the leading cause of death in young people, accounting for 14% of deaths in 10-19 year olds. Overall, the cost of mental health problems in children aged 5–15 years amount to at least £1.5 billion per year and the mean annual cost of health, education and social services for a single child aged 5–15 years with an emotional or behavioural disorder is £1,800. Early interventions focused on children and adolescents can alleviate some of the public health burden associated with mental health disorders. 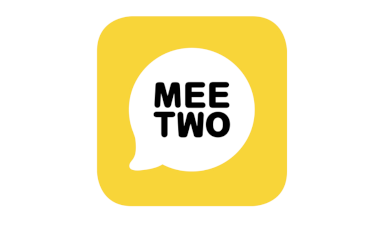 MeeTwo is a multi-award winning app that makes it easier for anxious teenagers to talk about difficult things. Informed by psychological research, MeeTwo is a fully moderated intervention, which harnesses the power of peer support to incentivise altruism as a scalable solution to declining teenage mental health. Informed by the latest psychological research, MeeTwo uses peer support to create a scalable solution to declining teenage mental health. MeeTwo is a fully scalable low cost intervention, which can alleviate the burden on the NHS and CAMHS by supporting the 61% of children who are referred for mental health support by their GPs referrals, but who are refused help because they don’t meet the increasingly rigid threshold criteria.